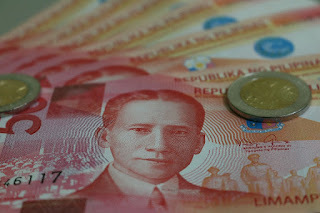 Home News Police Police Report Region 2,701 arrested in Bicol anti-gambling ops from Jan. to Sept.
2,701 arrested in Bicol anti-gambling ops from Jan. to Sept.
LEGAZPI CITY (Bicol Standard) -- The Police Regional Office 5 has arrested 2,701 persons and seized P404,846 worth of cash and items in its Anti-Illegal Gambling Operation covering the period from January-September 2018. In a report sent to members of the media, the Bicol police added that for the same period, 787 cases were filed in court for violating the anti-gambling law. Topping the list is the province of Camarines Sur with 174; followed by Albay with 153; 149 in Masbate; 123 in Sorsogon; 69 in Camarines Norte; 26 in Catanduanes; and 22 in Naga City. The existence of illegal gambling activities in the region has been considered as a social menace for it has become the means for corruption and an influential factor for individual’s disregard for the value of dignified work, perseverance and thrift, Chief Supt. Atty. Arnel B. Escobal said. He added that the Bicol police will continue to intensify the conduct of Anti-Illegal Gambling Operations in the region. Likewise, the Police Regional Office urges the cooperation and support of the community as well as the collaboration of the different stakeholders.